Jo Walton has a great blog article on the tor.com site: “A Soldier Like My Mother.” She examines Lois McMaster Bujold’s Vorkosigan Saga through various lenses: feminism, classic themes of military SF, and the development of many major characters. If you’ve read and enjoyed any of that series, check out her article! Or, if you’ve enjoyed some of Walton’s excellent writing, that’s also a good reason. via A Soldier Like My Mother. Lois McMaster Bujold’s Vorkosigan Saga | Tor.com. The title is the worst part. Cryoburn – Lois McMaster Bujold. Summary: Kibou-daini is a planet obsessed with cheating death. Barrayaran Imperial Auditor Miles Vorkosigan can hardly disapprove—he’s been cheating death his whole life, on the theory that turnabout is fair play. But when a Kibou-daini cryocorp—an immortal company whose job it is to shepherd its all-too-mortal frozen patrons into an unknown future—attempts to expand its franchise into the Barrayaran Empire, Emperor Gregor dispatches his top troubleshooter Miles to check it out. Provenance: Purchased online via webscription.net. It is only published ‘standalone’. Cryoburn was published in 2010, and as far as I know it is the furthest along in Miles’ adventures. I strongly recommend this book, particularly to people who are fans of the Vorkosigan universe. It is well-written and enjoyable. As a quibble, I must say that Miles seems not to have the zest and momentum he had at a younger age, but then again he is a family man now, and settled in his unusual career as Imperial Auditor. The eleven-year-old boy Jin Sato is a good foil for Miles, not just in youth and enthusiasm, but also to provide an external point of view onto Miles and Armsman Roic. I did have the feeling that interesting things must have been missed in the six or so years that passed since the previous book. One of many Vorkosigan stories. Provenance: Purchased online via webscription.net. It is only published standalone, not in any current omnibus. This novel fills the gap between Admiral Naismith’s adventures in Mirror Dance and Imperial Auditor Vorkosigan’s investigation on Komarr. Miles, and Simon Illyan, struggle to define themselves when they lose an essential part of how they’ve defined themselves. This was solid and enjoyable, but not as good as Mirror Dance or Barrayar. One of many award-winning Vorkosigan stories. Barrayar – Lois McMaster Bujold. 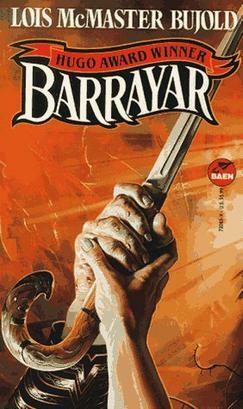 Summary: In 1992, Barrayar won both the Hugo Award for Best Novel and the Locus Award for Best Science Fiction Novel. Provenance: Purchased online via webscription.net. It is only published in an omnibus version called Cordelia’s Honor. Barrayar was thoroughly enjoyable. After slogging through Shards of Honor left me wondering why Cordelia was such a favorite character with some bloggers, I found out with this book why Cordelia is awesome. The pacing is snappy, the characterization is gripping and confident, major and minor characters are important and realistic, and interesting moral/ethical dilemmas are presented. Why, then, did I give it only four out of five stars? 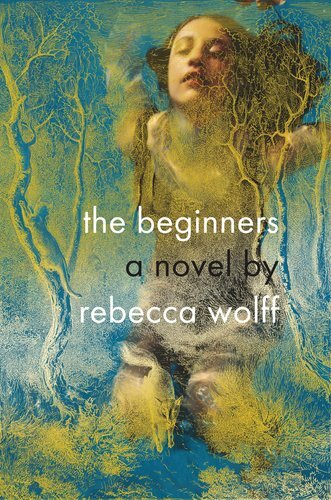 I almost never hand out five stars – so if you start from four-and-a-half… Half a star deducted for not having breathtakingly beautiful writing throughout. An excellent discussion of the book provided by the author as an afterword to Cordelia’s Honor. Bujold points out themes and tells the evolution of the book’s story.